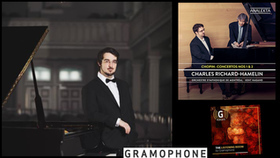 Winner of the silver medal and Krystian Zimerman prize for best performance of a sonata at the International Piano Competition in Warsaw Frederic Chopin in 2015, Charles Richard-Hamelin stands out today as one of the pianists most important of his generation. It also got the second prize at the Montreal International Musical and third prize and special prize for best performance of a Beethoven sonata at the Seoul International Music Competition in South Korea. Prix ​​d'Europe 2011 and Radio-Canada Revelation 2015/16, he was recently awarded the prestigious Career Development Award offered by the Women's Musical Club of Toronto. He was invited to several major festivals such as La Roque d'Anthéron in France, the Prague Spring International Music Festival, the Festival "Chopin and his Europe" in Warsaw and the Festival de Lanaudière (Canada). As a soloist, he has been heard including the Warsaw Philharmonic Orchestra, the Montreal Symphony Orchestra, the Toronto Symphony Orchestra, the Philharmonic Orchestra of Poznań, the Beethoven Academy Orchestra, the Orchestre Métropolitain of Montreal, OFUNAM (Mexico), the Korean Symphony Orchestra and I Musici of Montreal. 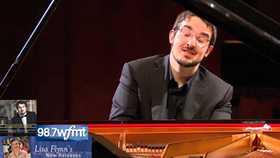 Originally from the Lanaudière region of Quebec, Charles Richard-Hamelin studied with Paul Surdulescu, Sara Laimon, Boris Berman and André Laplante. He received his bachelor's degree at McGill University in 2011 and his master's degree at the Yale School of Music in 2013 and received a full scholarship in both institutions. He also obtained a Diploma of Artist at the Montreal Conservatory of Music in 2016 and is currently studying with pianist Jean Saulnier. 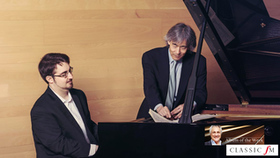 His first solo CD, devoted to recent works by Chopin, was published in September 2015 under the Analekta label and has received praise from critics worldwide (Diapason, BBC Music Magazine, Le Devoir). 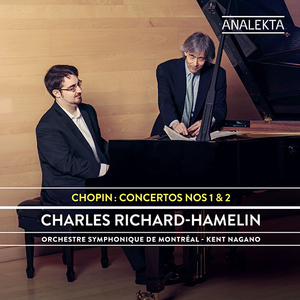 "Richard-Hamelin seems aware of Chopin's entire way - not only Based line after line of his famous melodies, but by exposing the inner voices and harmonic surprises in both hands, illuminating the structural complexity of the work, all particularly in the Third Sonata, which will complete the program. 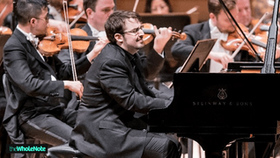 Richard-Hamelin has carried his audience with the sweet languor of his game at a time and with its always musical technical prowess to another. He is an artist clearly on a unique and original way . " "The winner of the second prize Charles Richard-Hamelin also received strong well deserved applause for his performance of the Sonata no. 3 in B minor, op. 58 Chopin. It was so well executed that it is impossible not be amazed that he finished second. " 7 Nocturne No. 20 in C-Sharp Minor, Op. posth. 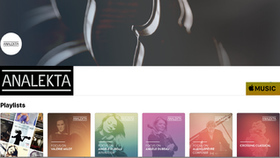 Analekta, the largest independent classical music label in Canada, is now an Apple Music Curator. In addition to sharing its own classical music knowledge and expertise in the form of thematic playlists, it will also call upon its artists to curate playlists of their own favourite music and share on Apple Music. Analekta will propose an initial selection of 17 playlists based on themes such as Classical Sunday Brunch, Weekend Music, Classical Music For Roadtrip and others focusing on the repertoire of some of its artists, such as Angèle Dubeau, Charles Richard-Hamelin and Alain Lefèvre. New playlists based on moods and activities will be added throughout the year. Analekta's president and founder, François Mario Labbé, said: "We are very happy to become an Apple Music Curator. We have a rich catalogue and we will provide tasteful and inspired playlists, and an outstanding listening experience for those who enjoy classical music." 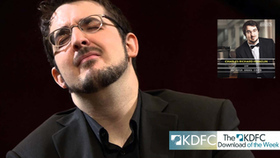 Charles Richard-Hamelin - 'Live' is KDFC: Album of the Week!